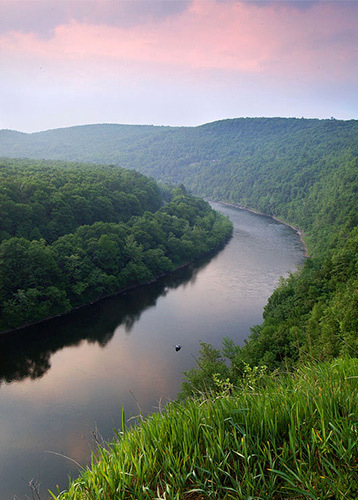 As you contribute to the Delaware Riverkeeper you become a member. As a member, you will receive our quarterly newsletter, River Rapids. If you sign up to be an E-activist, you will be the first to receive action alerts — enabling you to have the latest, most up-to-date information on issues that affect the River and our quality of life in the Delaware Valley, as well as learning the many ways you can get involved and help make a difference. Make your voice heard. Join us today! Your transaction with us is secure! Pay now via BrainTree. Donations are non refundable. Thank you for your contribution. The Delaware Riverkeeper Network is committed to protecting our members’ privacy. We do not share, sell, rent, or trade our members' personal information. We do not share our membership mailing list with other organizations. Occasionally, we may provide members with information about an event or program on behalf of a partner organization if we feel it is of sufficient interest. This policy applies to all member information received by the Delaware Riverkeeper Network, both online and offline, on any platform including the Delaware Riverkeeper Network website and integrated applications, as well as through any electronic, written, or oral communications. In addition, when the Delaware Riverkeeper Network uses outside contractors or third party service providers for the purposes of updating addresses, producing mailings, or sending other communication including email messages, we verify that member information is handed securely and treated confidentially. To the extent that donations are processed through a third-party service provider, donor information is only to be used by those providers for the purposes necessary to process donations.